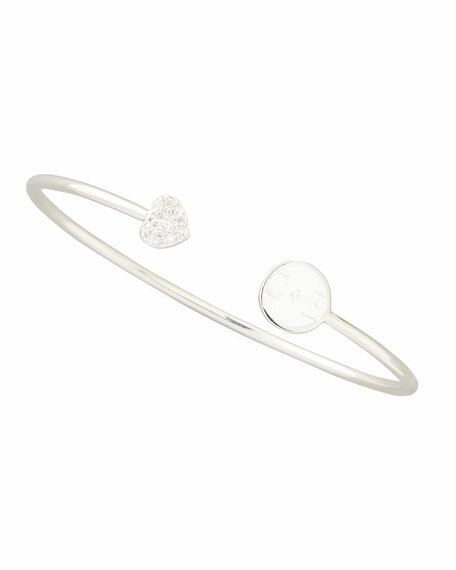 This Sarah Chloe bracelet boasts a diamond-detailed heart and your choice of letters. Make it your signature piece. 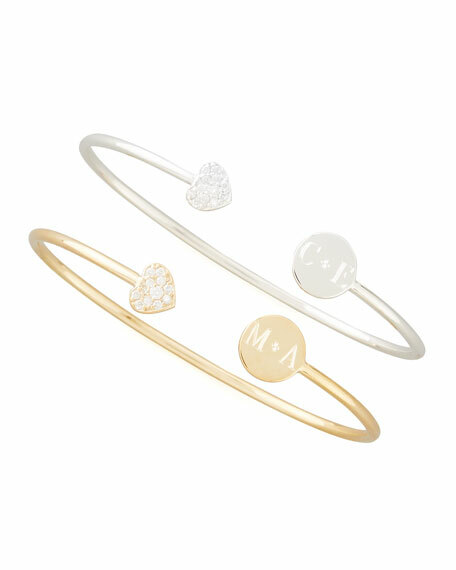 Round, flat end cap with your choice of engraved initials; pave diamond heart caps opposite end.